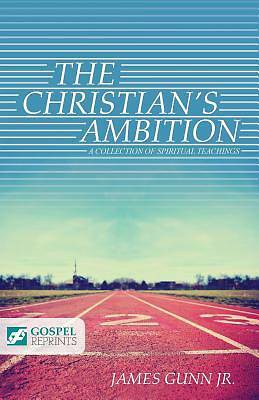 The Christian's Ambition is a collection of messages (primarily for young adults) presented by James Gunn Jr. He covers many aspects of the Christian journey with solid teaching and keen insights. Specific issues addressed include spiritual development, the authority of the Bible, spending quality time in the Word and other cornerstones to the Christian faith. This book can be read individually or used as a weekly Bible study for a group.